Hard to believe, but summer is nearly over. Did you take a vacation from your small business this year? If you’re like many entrepreneurs, the answer is no. 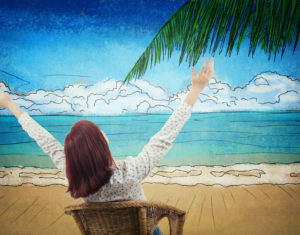 Just 57% of small business owners in a recent survey by OnDeck Capital say they are vacationing this year, and only 32% say they generally make vacation a priority. Getting away from it all for a vacation is challenging for many Americans, but especially for small business owners who often lack the staff to delegate to while they’re away. 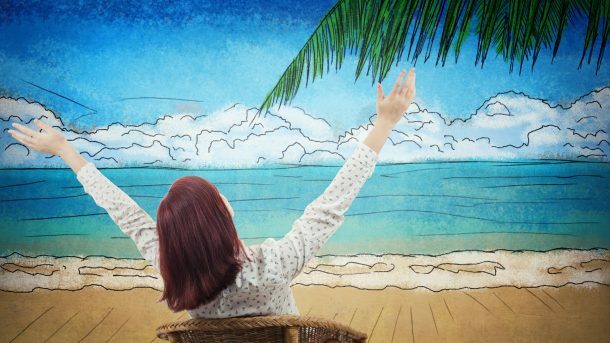 But taking a vacation—even a short one—can make a huge difference in your productivity, motivation, and energy levels after your return. And it might be easier to do than you think. Consider this: According to the OnDeck Capital survey, the group most likely to make vacation a priority is doctors—people who literally deal with life-and-death situations every day. Sixty-seven percent of doctors in the survey said they take vacations, compared to just half of restaurateurs. If doctors can manage to take time off, certainly you can. The longer entrepreneurs have been in business, and the more employees they have, the more likely they are to take a vacation, the survey found. That could be because these veteran entrepreneurs have learned how important it is to take time off, or because they generally have more people to delegate to. Seven out of 10 small business owners who have been in business for 11 to 20 years are taking vacations, compared to 47% of those in business 1 to 10 years; 57% of those with 1 to 5 employees take vacations, as do 63% of those with 6 to 10 employees. Not surprisingly, self-employed people (with no employees) are the least likely demographic to take vacations: just 42% of them do. Even taking a vacation doesn’t mean entrepreneurs are actually unplugging from their businesses, however. Sixty-seven percent of business owners surveyed say they check in with their business at least once a day; just 15% are able to disconnect altogether during a trip. Checking in with your business may not be ideal, but sometimes it’s essential to make a vacation work. (No wonder 75% of doctors who take vacations check in every day.) You can try to maximize your downtime by limiting work check-ins to once or twice a day—say, in the morning before you head out on that day’s adventure, or in the evening before dinner. Or, take a lesson from how doctors do it: Delegate one of your staff to handle your phone calls, voice mails and emails, and alert you when anything urgent arises. That way, you can be confident you’re not missing anything important, but you don’t have to keep checking your phone. Also let go of the idea that vacation has to be a lengthy affair. Of the business owners who do vacation, 61% take one week off, 26% take a few days, and 9% take two weeks. One week off seems to be the sweet spot where you get the benefit of time off without missing too much that’s going on at your business.